Volvo has revealed the new V60, a premium mid-size wagon that uses the same recipe with the bigger V90 to declare war on the usual German establishment. 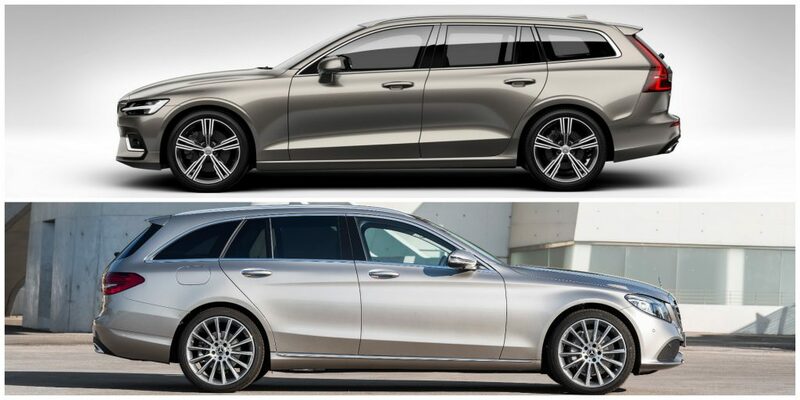 Europeans have the opportunity to cross shop the Volvo V60 with all-three German premium estates, including Audi’s A4 Avant that has been on the market since last year, BMW’s 3-Series Touring that will soon be replaced, and Mercedes‘ recently revealed C-Class Wagon (or Estate) facelift. In the United States, only the BMW 3-Series Touring (for now, at least) and the Allroad version of Audi‘s A4 are offered. Technically, you could include Buick’s Regal Wagon as a potential rival for the V60 in the States too. In this poll, we decided to pit the V60 against the most recently announced model, the updated C-Class Wagon. Both of them will celebrate their world premieres at the Geneva Motor Show, with the Volvo understandably gathering the most interest since it’s the all-new member of the segment and not an updated version of an existing model. However, the new Mercedes C-Class Estate will come armed with technologies straight from the S-Class as well as new petrol, diesel and plug-in hybrid powertrains. 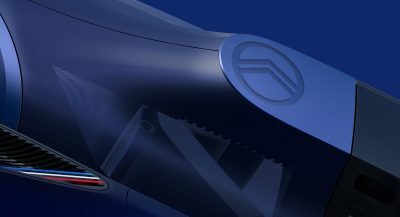 Mercedes will reveal the technical details at Geneva. The new Volvo V60 on the other hand offers bigger dimensions and a roomier interior for starters, measuring 4,761mm (187.5 in.) in length against 4,702mm (185.1 in.) of the Mercedes. Boot volume with the rear seats up is 529lt in the Volvo and 490lt in the Mercedes. Both of them are considered among the most stylish models in the segment, despite the fact that both Volvo and Mercedes have resulted in the Russian doll effect for their respective model ranges. Whereas the Volvo adopts a more square and muscular stance, the Mercedes has a more rounded and organic shape. As for their interiors, the two models offer a lovely atmosphere with great quality and that necessary expensive feeling. 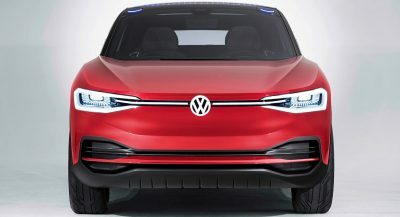 Features like a digital instrument cluster and a big infotainment screen with all the toys are present in both models. It all comes down to which design language you like the most really, but real customers maybe (just maybe!) base their decision on other factors too! Have you picked one yet? Good. 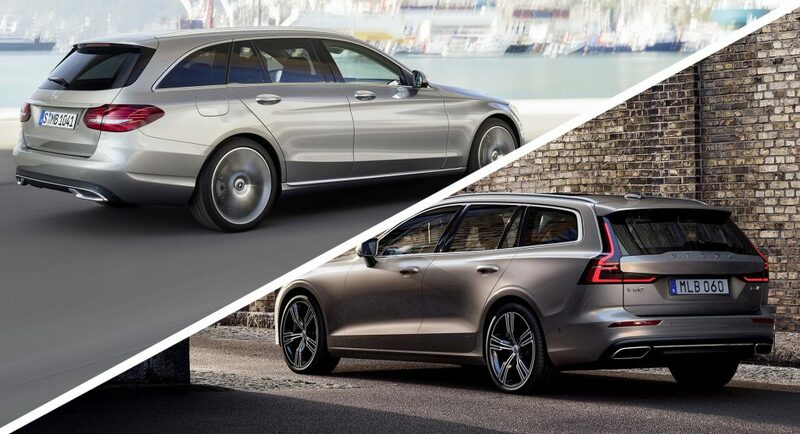 Let’s see which one between the Volvo V60 and the Mercedes C-Class Estate is the hottest premium mid-size wagon right now. Volvo V60 for sure. Beautiful design! V60, not even close! Love the design… wish it would have been sooner. MB, look at the reliability ranking, made in germany not china..
Lucky you! The V60 is made in Sweden and Belgium. Made in Germany by an imported low-skill workforce from Eastern Europe. iPhone is made in China too and is a lot of popular. Never thought I would ever take a Volvo over a Mercedes in terms of styling, but this just won me over. The only way I can describe Mercedes recent styling language is fat & blobby, remember the Citroen Xzara Picasso? Yeah… not far off. Volvo looks great. Yeah, not untrue but the Mercedes is a real car with RWD and six cylinders. A little something for the adult male. Lol most of the mercs will be sold in europe with a diesel engine so it wont be very sporty. If you want a sporty wagon you choose the AMG c65. In the normal world the Volvo is the smart choice. Volvo is a car for adults. I’ll take that as a compliment. Christ, if being an adult means I have to get a Volvo, hope I die before I get old. I’ll keep the Mustang. V60 styling inside and out, but Benz platform/mechanicals. Put a gun to my head and force me to choose, and I’m taking the Benz. Of course, the C-Class wagon/estate isn’t available here in the States, so it’s not a decision I’ll ever need to make. V60 for me. V60 is to masculine as C-Class is to feminine. A few years ago it would have been the other way around… Volvo has completely redefined itself! Now they need to make the V90 giant again, keep the design though it looks way better than the old one. I picked the Volvo but I think the Mercedes looks just as good. Easily a no-brainier; it’s the Benz, particularly when the in-line sixes come onstream. No problem with ‘em. Glad Volvo makes a car just for them. 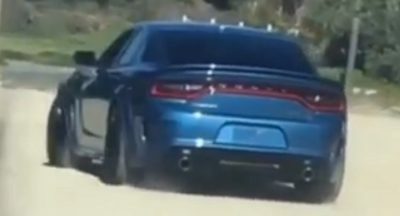 Kinda sad for the guys who didn’t immediately pick the RWD car with six-cylinder power, though. Plot twist: Volvo introduces a N/A V12 model. exterior design-wise, the Volvo. but my money would be on the Merc (I like the interior best, better fit and finish, more engine choices and, especially, rear-wheel drive). Volvo without a question. It looks absolutely stunning. Now if this was an AMG wagon it might be a different story. Volvo outchea looking more teutonic than a teuton. I’d…have to choose the Volvo. The Mercedes. The Volvo lacks that solid engineering feel of the Mercedes and comes with basically one type of engine which is mostly unrefined. The C can be had with 6 cylinder diesels and petrols, hybrid and a stonking AMG V8. The C is much better. The Volvo may look more striking but the C is classy and elegant. That’s not true. Please elaborate? The C Class has some safety systems the Volvo doesn’t have and has better semi autonomous abilities. Also look at the side impact test of the Volvo S90 which is a segment above a C Class and look at the same for the C Class. The Volvo folds like a packet. The C Class was properly sturdy. The C Class also has all of that. I don’t think you know much about Mercedes. You should read up about presafe. It’s been in Mercedes vehicles since 2002. I think you don’t know about Volvo’s side impact philosophy. The Volvo SIPS system moves the passenger seat away from the impact, towards the center of the car, like a crush zone. Volvo side impact is 5 stars with NCAP. Recent NCAP testing; In 2015 the XC90 had the top score in passenger protection, scoring 97%. Also, the XC90 scored an un-duplicated 100% score in anti-collision. In 2016, no Volvos were tested. In 2017, the XC60 scored the highest in passenger protection, with a 98% score. Also, the anti-collision score was 95%, which was the highest that year. I don’t think you know about Mercedes’ either. You must have not heard about presafe impulse side? This pushes the occupant towards the centre of the car in a side impact creating a larger effective crumple zone. Mercedes also performs better on side impacts. Like I said, just look at the videos on Euro NCAP. Well, you’re right, I don’t know about that Mercedes innovation. IMO, It’s been Mercedes, Volvo, and SAAB that have led the automotive world in safety features. If you watch videos of NCAP pole side impact, you clearly see the Volvo seat moving away from the impact. If you watch pole side impact on almost any other car, the seat remains rigidly in place, Telsa included. Tesla crowed about how their Model 3 door was not pushed in as much as an older S60, in their ignorance. But I admit, I haven’t seen a Mercedes pole test video. And every car company has had at least some trouble with the Small Overlap Crash Test, except for Volvo. Volvo beat the Crash Testing Agencies and all the automotive world in seeing a serious problem in this kind of accident. In the US, 2,500 people die in this kind of accident every year. Volvo was way ahead of the IIHS on this test, by decades. Side impact pole tests were done on the latest 2018+ GLC by NCAP. Look up the videos. It does not show any signs of impact crumple zones, the seats look rigid and fixed. Compared to the Volvo XC60 with SIPS. No it isn’t. Mercedes had it long before Lexus since the S Class from 1999. Volvo design with Mercedes drive train would be a dream.